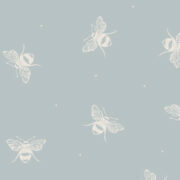 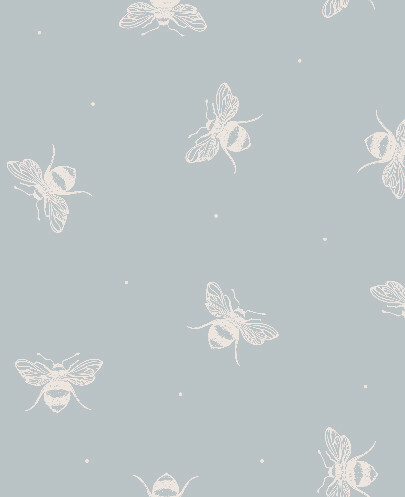 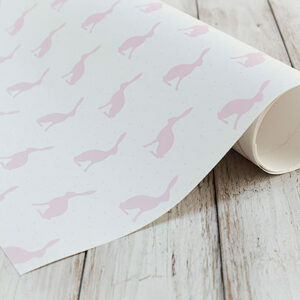 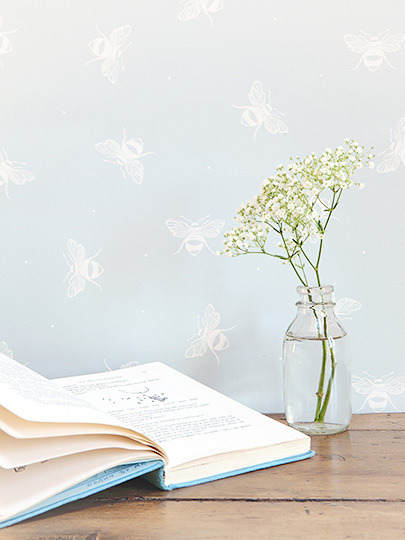 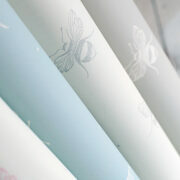 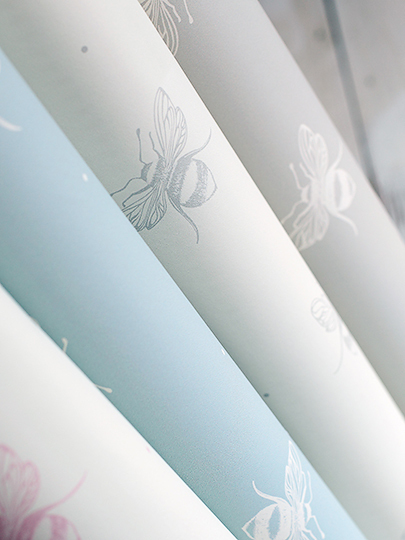 Stunning wallpaper with busy bumble bees with a gorgeous grey powdery duck egg blue background. 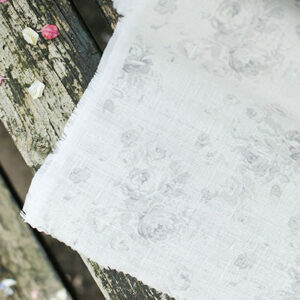 What does this go with: Gorgeous with billowing Large Gustavian Grey Check curtains as featured on our Coastal range. 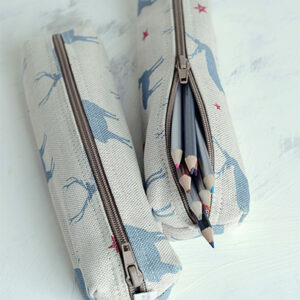 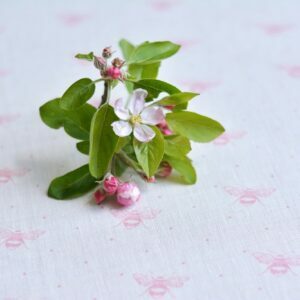 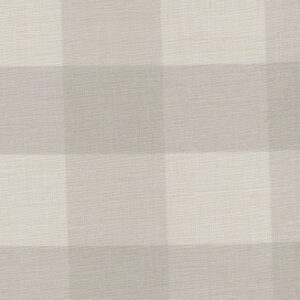 Lovely with our Small Dove Check or our Plain Natural Linen.